Love being fit? Surely you would do well to walk more each day, and just to know how many steps you are supposed to take, it is highly recommended to get a pedometer to help you out. 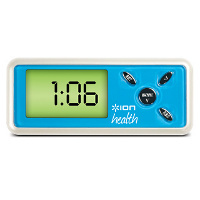 The £24.99 USB Pedometer that you see here is a step in the right direction, so to speak, counting each and every step that you take so that you can clock up those miles and make sure your physician remains up-to-date with your physical activities. Hang the USB Pedometer around your neck, or opt to pop it in the pocket – it doesn’t matter. This device is still able to accurately measure the distance you have walked, in addition to the amount of calories burned so that you can consider wolfing down another Big Mac. Apart from that, at least you know how to gradually increase your physical activity each day to meet your fitness goals. All collected data can be transferred over to a PC by plugging this device via USB.